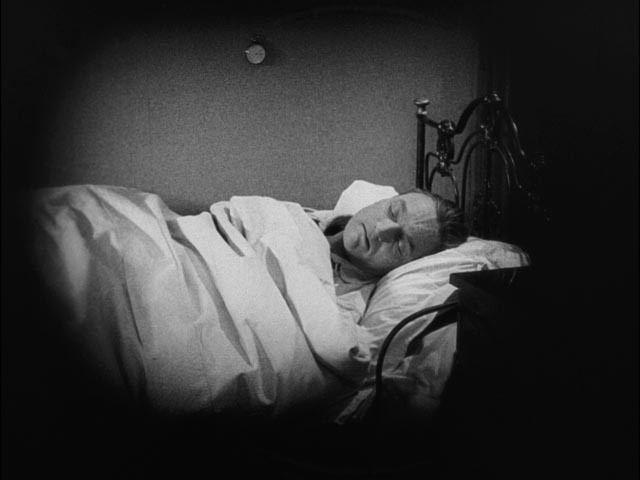 I first became aware of Carl Theodor Dreyer somewhere around 1970 through references to Vampyr (1932) in various books on horror and vampire movies. Everyone seemed to agree that this was a masterpiece and the hazy, dreamlike stills which accompanied the texts were undeniably enticing. Later, as my reading about film moved beyond genre, I came across even more adulatory opinions about La Passion de Jeanne d’Arc (1928). But Dreyer remained for two decades an elusive figure. My first actual experience of his work was the screening of a 16mm print of Jeanne d’Arc at the Cinematheque in Winnipeg in the early ’90s and despite the less than ideal condition of the print, I was mesmerized. I finally got to see Vampyr when Image released it in the early days of DVD, and again while it wasn’t optimal quality, it cast a spell which encouraged me to seek out more of the director’s work … with nine of his fourteen features now in my DVD collection. 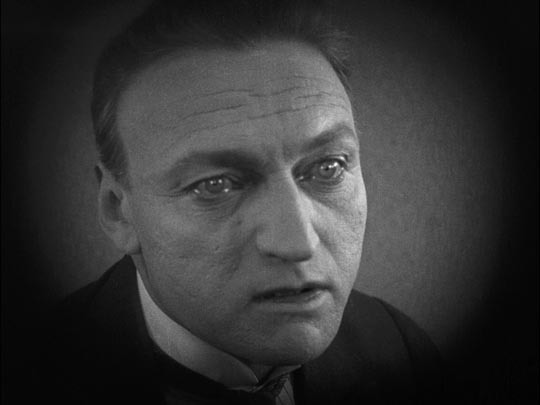 By the end of his career, Dreyer was seen as someone who had not evolved; the medium had moved on without him and his final film, Gertrud (1964), was generally seen as a creaky artifact. Now, of course, displaced from the time of its release, it is largely recognized as one of his masterpieces, the culmination of his rigorous pursuit of the essential, stripping away extraneous details to gain greater access to an acute psychological understanding of character. This quest has been most clearly recognized in Jeanne d’Arc with its sets reduced almost to the point of abstraction as the camera obsessively surveys the faces of Joan and her accusers, making emotion palpable and ultimately evoking a transcendent sense of the spiritual. La Passion takes Dreyer to the most extreme limits of his investigation into what is possible in film form, but the underlying purpose is apparent in all of his work. Although not in the least a religious person, I am always inexpressibly moved by Ordet (1955), my personal favourite among his films, with its remarkable ability to make manifest the power of faith to transform the physical world, not with Sunday school, Bible-quoting platitudes, but on the most visceral level imaginable. So, with all of this to choose from, it may seem odd that Criterion has opted to introduce Dreyer to region A Blu-ray with his intimate 1925 family drama Master of the House. (Masters of Cinema released Jeanne d’Arc on region B Blu-ray in 2012.) Shot almost entirely on a small apartment set, drawing on fairly familiar domestic narrative tropes of the era, this film appears on the surface to be the most conventional, least characteristic of the fourteen features. Following the previous year’s Mikael, lavishly produced by UFA in Berlin and dealing with the more transgressive theme of homosexuality, Master of the House has the air of a retreat; shot at the Palladium studios in Denmark, it deals with the marital problems of Ida Frandsen (Astrid Holm) and her husband Viktor (Johannes Meyer). Although the Danish title more correctly translates as Thou Shalt Honour Thy Wife, the English title emphasizes the theme of patriarchal oppression. Viktor is a domestic monster, a harsh, demanding man with no apparent empathy for his wife and children. As his behaviour becomes intolerable, pushing Ida towards a breakdown, Mads (Mathilde Nielsen), an old family friend – and Viktor’s former nanny – takes things in hand to reform him. 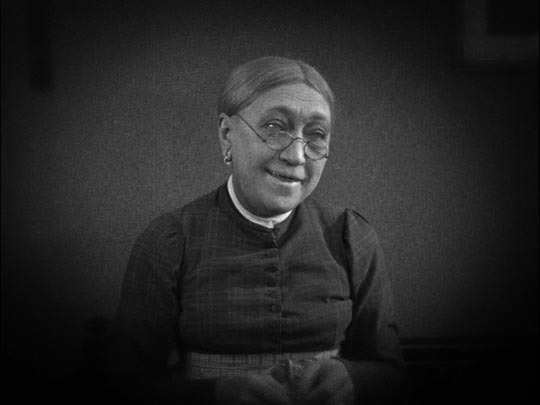 Like the earlier The Parson’s Widow (1920), Master of the House belies Dreyer’s reputation for being humourless; but although it’s sometimes called a comedy, it is actually a domestic drama with comedic overtones. It begins with a carefully detailed depiction of the mundane work involved in running even a small household, as Ida goes through the numerous steps of preparing for the day – opening the drapes, feeding her caged birds, lighting the stove, boiling water, preparing breakfast, making sure her son brushes his teeth, checking his schoolwork, and so on … all while Viktor lies in bed. When he finally emerges it is only to complain – not enough butter on his bread, why isn’t the coffee already on the table when he sits down? He’s a gloomy, unpleasant man and Ida quietly acquiesces to all his demands. This is where a modern audience might have difficulties with the film; anger at Viktor’s dictatorial behaviour is compounded by Ida’s submissiveness. It is fully forty minutes into the film before we finally learn the crucial fact that Viktor has lost his business and with it his sense of himself as a respectable, productive man. He over-compensates for this blow to his ego by treating his family harshly and demanding respect and obedience from them. Ida, who (as she says) loved him through the good times, cannot abandon him now during the bad … but the strain is ruining her health, and Mads manages to get her away to the country for a rest cure. The old servant takes over the household herself and embarks on a campaign to break down Viktor’s arrogance and make him aware of just how much his family has been doing for him to cushion that blow to his ego. The second half of the film sees him being forced to undertake all of those household chores himself, gradually awakening him to the hard labour and sacrifices which have been required to keep him comfortable. It’s only when he has been completely broken of his illusions and his arrogance that Ida can return for a reconciliation, during which he gets down on his knees and apologizes. Domestic equilibrium is restored on a more equal footing and the tyrant has become a warmer, more understanding man. While the narrative has charm (and a kind of proto-feminist attitude), what makes Master of the House significant (and worthy of this Blu-ray debut) is Dreyer’s remarkable stylistic approach. As David Bordwell demonstrates in a visual essay included on the disk, Dreyer’s direction was highly innovative, completely avoiding any hint of the Expressionism so prevalent in European films of the time. Unable to shoot on location in a small apartment for technical reasons, Dreyer had the three-room flat recreated on stage with each room having all four walls. This enabled him to get away from what was still the prevalent “proscenium” approach to silent movies which treated film sets like a theatre stage. In Master, rather than the audience looking into the narrative space, Dreyer’s camera situates the viewer among the characters. His mobile camera and complex cutting strategies (the film has some 1100 shots) create a three-dimensional world and a point of view which moves freely through it. Apparently without fear that an audience would become disoriented (always an issue in the first decades of the medium as editing evolved in increasingly elaborate ways), Dreyer shifts point of view fluidly throughout individual scenes without ever inducing spatial confusion. But he goes further than simply pushing the boundaries of continuity editing; as would become more apparent three years later in Jeanne d’Arc, Dreyer’s control of narrative space supports an evolving mastery of psychological space. He creates extended moments in which sequences of shots are controlled by exchanges of glances among groups of characters, faces isolated against minimal backgrounds (as in Jeanne d’Arc), evoking emotional rather than narrative connections. Combined with a rigorously naturalistic style of acting, this use of camera and editing raises Master of the House above the seemingly routine elements of its script into a rich, nuanced and deeply involving psychological and emotional experience for the viewer; we engage with the characters rather than merely observe them and this is what prompts such strong reactions to the behaviour of Viktor and Ida … and what makes Nielsen’s Mads so much more than a comic caricature. Mads is a powerful force of reason, fully equipped to see through and break down the armour of the male ego and establish a more egalitarian society rooted in mutual recognition and respect. Although there is some slight print damage, with occasional missing frames, Criterion’s disk offers a vivid 2K transfer from an intermediate negative, with a richly detailed film-like image with noticeable grain and a certain amount of flicker resulting from the naturally fluctuating exposure of the silent camera. 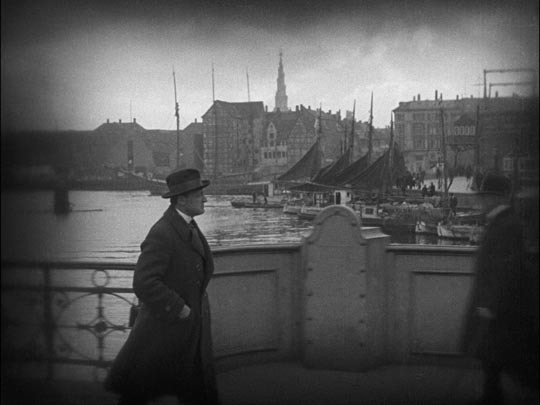 Although the main titles are in Danish, all intertitles are in newly translated English. Audio consists of a reconstruction by Gillian B. Anderson of the original score, performed on solo piano by Sara Davis Buechner and presented in uncompressed stereo. There are two supplements. The first is an interview with Dreyer scholar Casper Tybjerg who covers the history of the production and its place in Dreyer’s career, particularly the emphasis on realism in the performances and the attention to small quotidian details, with narrative and decor stripped down to essentials. Tybjerg offers an interesting side note about the original English intertitles (as opposed to the new, more accurate translation presented on the disk): for the English market, the film originally had a prefatory note explaining that the kind of domestic despotism depicted in the film no longer existed in England, but rather represented a “foreign problem”. The second supplement is the above-mentioned visual essay by David Bordwell, which analyzes the innovative visual style of the film, marking it as a transitional work between the more classical silent technique of the director’s earlier work and the radical psychological approach of the later films, from Jeanne d’Arc up through Gertrud. The booklet accompanying the disk contains a short essay on the film by Mark Le Fanu. As is now standard for Criterion, the release is dual-format, with all content present on both the Blu-ray and the DVD. This entry was posted in Review and tagged Blu-Ray, Criterion, Directors, Silent Film. Bookmark the permalink.